It may seem like woke baes are everywhere these days—that’s because they are and they’re only getting woker and baer. I think it’s high time we recognize these alert gentlemen, and every month I will do just that. So, what exactly is a woke bae? 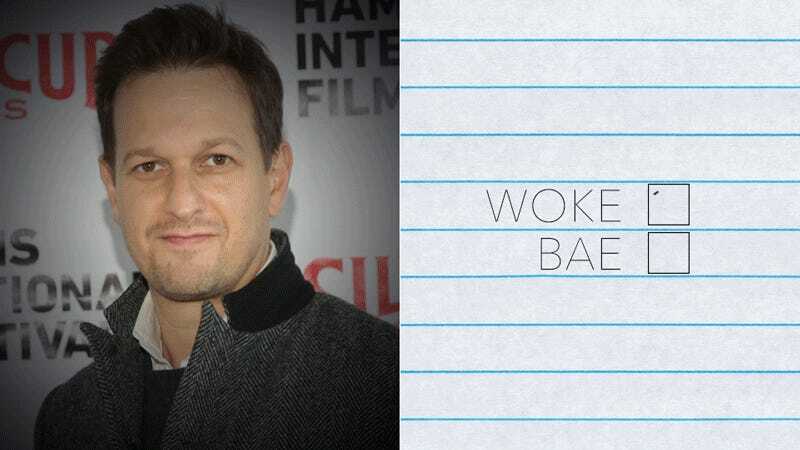 A woke bae is a bae who is woke, as first coined by a drooling Buzzfeed post about Matt McGorry which described him as “so bae and so woke.” Moving on, let’s take a look at some of the men who displayed their baest and wokest selves during the month of January. Low. Sorry Danny. You’d be a cool uncle though. Woke factor: Major, major points for that last unintentionally hilarious yet painfully accurate dagger: “we’re a bunch of racists.” It’s succinct, impactful and displays an enviable amount of wokeness. I also appreciate how Danny said “we,” showing that he’s not afraid to accept, to some degree, that he’s part of the problem. Very woke. Woke factor: The Raising Hope star’s strongest point of wokeness is the diversity of his wokeness. In January, he covered, amongst many other issues, #oscarssowhite, the Flint water crisis and generally admired the dopeness of our first black president and his immaculate wife. Lots of wokeness is good wokeness. Oh, alright, fine, I guess. As long as he gets a good nights sleep. Woke factor: Julianne said that: “his wokeness is college-levels of wokeness,” which strikes me as highly accurate. This feels like the very beginning stage of true bae wokeness. Penn is but a babe in the woke game, but I see some real promise so I’m allowing him in this month. OFF THE CHARTS BAE AND OH MY GOD I CAN’T BELIEVE HE DIDN’T TELL ALICIA HOW MUCH HE LOVED HER IN HIS LAST MESSAGE WHAT WAS THAT EVEN? Woke factor: This is not, like, as woke as it could be, but Josh is certainly getting there. He is testing his wokeness—sipping on that morning cup of coffee and rubbing the sleep out of his eyes and letting the sun slowly but surely illuminate his mind. I cannot wait to see the fully woke beast that I believe lies within him. I like Dax fine, mostly because he’s married to Kristen Bell, but I had higher hopes for him. Things started out strong with a nice, insightful jab at the those terrorists in Oregon. However, things rapidly went south when he made a couple jokes that are, while not horribly offensive, really stupid and in many ways—the opposite of wokeness. Try to do better next month, Dax. You’re teetering on the edge of wokeness, don’t allow yourself to slip and fall into the drowsy land of the unwoke. Oh Zac. Poor Zac. Pretty Zac. Terrible decision-maker Zac. I can’t lie and say that I thought Zac Efron would ever be a woke bae, but I guess I didn’t think he’d swing so far in the opposite direction. Please behold this beautiful tragedy of a tweet that Zac Efron wrote on Martin Luther King Jr Day. Please join me next month for a look at February’s wokest baes. (And it’s Black History Month so this should be good!) Suggestions are welcome. Images via Getty. Gif by Bobby Finger.